CRANAplus has always prided itself on its engagement with Students. There has been a long standing tradition to actively support students, in the interests of promoting remote health as a career choice, and thus ensuring for a future remote workforce. This has been pursued predominantly through the National Rural Health Student’s Network (NRHSN) and at State and Territory level with various university rural health clubs. We are committed to being responsive to individual students and new graduates’ requests about rural and remote health. Our ‘ Pathway to Remote Professional Practice’ booklet provides resources and information to help outline what is required for students and new graduates to be well prepared and confident in going remote, ‘bush’. Supporting Clinical Placements is a vital and important element of this relationship. It is well known that a positive undergraduate student experience in a supportive, informed placement strongly influences future career choices. Our role in this space includes advocating for, and promoting of the availability of remote placements for undergraduates with both remote health services and the universities. 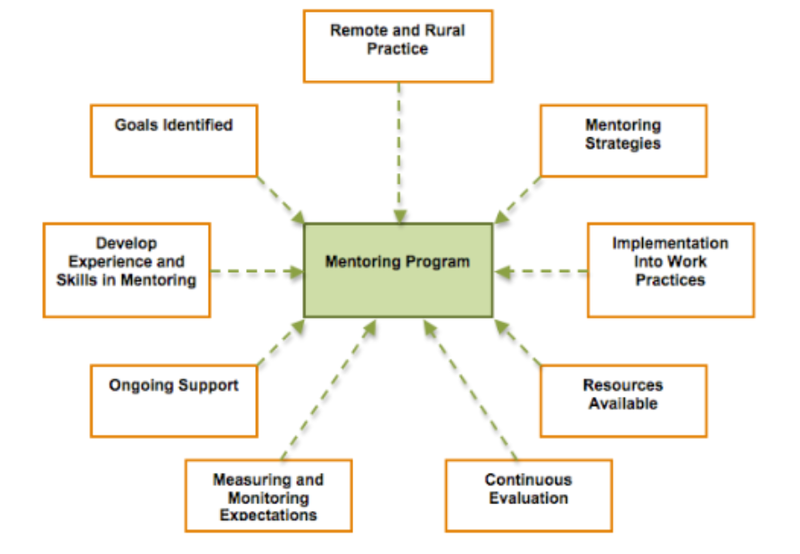 The Remote and Rural Mentoring Program available for health students and new graduates who would like to link with remote health professionals. The program focuses on building capabilities in clinical leadership, decision – making, networking and resilience during placements and newly employed. We strongly support the importance of students and new graduates taking care of themselves whilst in remote and isolated areas by providing CRANAplus Bush Support Service - a 24-hour confidential psychologist driven phone line (1800 805 391) and Self-care and Stress Management Workshops tailored to your needs. National Rural Health Student Network (NRHSN) “When the Cowpat hits the Windmill” (2008) available here. ‘Optimising Clinical Placement Guidelines’: NRHSN July 2012, available here. Clinical placement scholarships for undergraduate remote placement. Attendance at CRANAplus conference and encourage students to present, in a collegial supportive environment. Our Student and New Graduate Subcommittee, will morph into a “Community of interest”. This will then provide a forum for students and new graduates to raise issues, and network - watch this space. Being the First Port of Call for new graduates asking about career advise, mentoring, support, we will put you in touch with rural and remote health professionals or resources that are able to help. NRHSN Alumni provides opportunity for previous National Rural Health Student Network (NRHSN) members to continue to network with multidisciplinary health professionals who have a passion for remote and rural health. The Australian Rural Health Education Network (ARHEN), established in 2001, is the peak body for the 11 University Departments of Rural Health (UDRH) located in every State and the NT. It receives core funding from the Department of Health and is co-funded by its member UDRHs. Each UDRH is a leader in multidisciplinary rural health education, research and the development of innovative service models. They are the only rurally based academic facilities that are multidisciplinary, work at undergraduate and post graduate levels and also with the existing workforce. The UDRH program is funded by the Australian Government Department of Health. Member UDRHs are well established, diverse and complementary, forming the most significant rural health academic consolidation in Australia. UDRHs are focused on expanding and enhancing the rural and remote health workforce through multidisciplinary education and training, research, professional support and service development. A key role of the UDRHs is to provide and coordinate rural and remote placements for health students across Australia. Click here to download a copy of the UDRH Student Information Guide. This document was developed by the NRHSN to offer a student perspective to placement providers in an effort to provide a consistently high standard of placement. CRANAplus supports the opportunity for students to gain clinical placement experience in remote health settings however with the caveat that the placement must not compromise community, health service employees or the students. It is imperative that any clinical placements’ are optimised to ensure a positive experience for all involved. Click here to download a copy of the document.